Here at Hog Roast Pendle, we always add a touch of magic to every single plate of food we produce. We can assure you though, that we don’t meddle with the dark arts to achieve this! Instead, we draw on our years of experience, and the natural flair and passion that our dedicated team of professionals have for hog roast cooking. With our winning combination of traditional techniques and modern menus, we can provide a superior dining experience for any occasion. 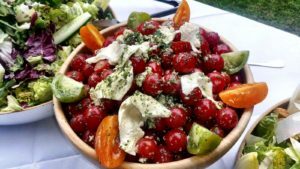 So, if you’re lucky enough to live in and around Pendle and you’re planning a special celebration to mark an important occasion – whether that’s your upcoming nuptials or a corporate away-day – you’ll want to ensure that you use one of the best catering companies in Pendle to provide your food. And that’s why you should consider booking Hog Roast Pendle for your next special event. Not only do we offer a superb selection of festive fare, but our team of professional chefs and waiting staff will do their utmost to ensure that your party goes perfectly. Whether you have one of our famous hog roasts in mind, or you’re thinking of something a little more formal, the choice is yours. One thing you can be sure of is that you’ll be getting top quality local produce, which has been prepared and cooked to perfection by our professional chefs. Using wonderful fresh produce from the area, including locally sourced hogs, we create some of the most delicious celebratory food, in addition to our signature hog roasts. With our cutting-edge hog roast machines and talented catering team, we can cook in any indoor venue or outdoor setting with equal success. 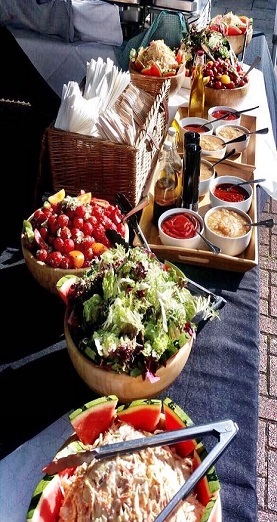 We always prepare our fresh locally-sourced ingredients at the venue, whatever the location and whatever the weather. Hog Roast Pendle would be happy to greet a group of walkers with a hearty meal at a holiday park after a hard day’s hiking in the countryside. Or if you are involved in local tourism, we would be equally capable of helping you throw a fancy-dress party in the woods to promote the area’s spooky past with a traditional hog roast buffet. Located in the rolling hills of the Lancashire countryside, the borough of Pendle is most famously associated with the witch trials of 1612. During the 17th century, Pendle was deemed to be a somewhat dark and unholy area and the inhabitants lived in fear of a group of local women who were accused of practicing witchcraft. Hailing largely from the same two families and presided over by their elderly matriarchs, these women met a rather grisly fate that saw them jailed, tried and eventually hanged for the crimes they were convicted of. This gruesome episode in Pendle’s past is still a very prevalent part of the region’s identity, with walking tours of ‘witch country’ and a sculpture park telling the witches’ story through stone artwork. There is even a statue of Alice Nutter, one of the so-called witches who was hanged, in the Pendle village of Roughlee. This macabre fascination with witchcraft aside, there are of course lots of much cheerier pursuits to be enjoyed in the Pendle countryside too, with an endless choice of hilltop treks, canal-side strolls and cycling routes to enjoy. 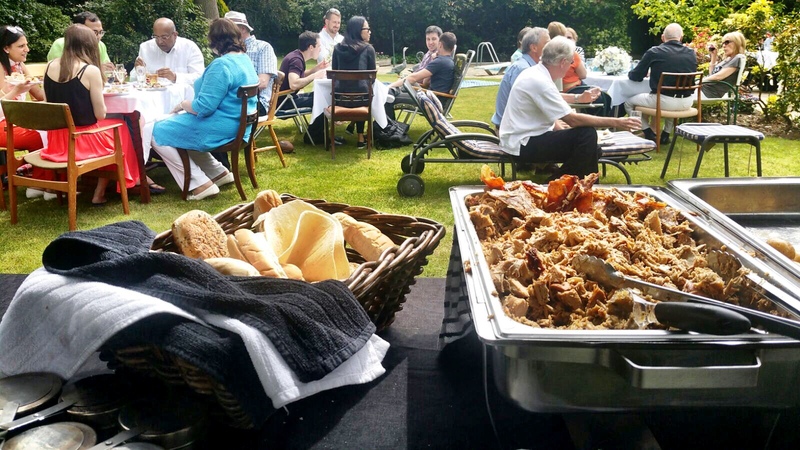 Whether you’re planning a small private party or a large corporate event, you’ll find that Hog Roast Pendle will provide you with a feast fit for a King. While we’ve all heard of the legend of the Pendle witches, there’ll be no witches huddled around a cooking pot here! Instead, you’ll find trained chefs who take pride in each and every dish they cook up, whether that’s a juicy hog roast, or a Mediterranean themed buffet. 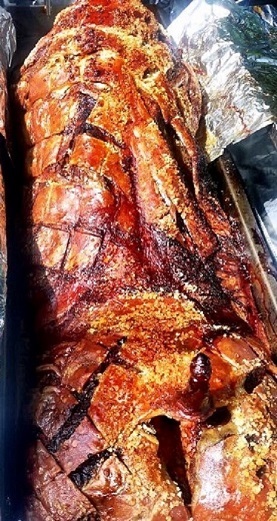 If you do choose our signature hog roast, you’ll be treated to the juiciest and sweetest meat that will have been spit roasted for a minimum of 6 hours to ensure that it’s soft and succulent on the inside, but topped with the crispest and crunchiest crackling. 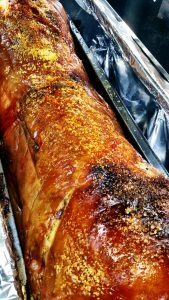 Maybe you’d like to opt for our simple hog in a roll, delicious slices of pork with apple sauce and stuffing, roast chicken or beef, or perhaps you’re planning to go the whole hog with one of our sit-down buffet menus for a truly memorable meal? Call us now to find out more. Copyright © 2019 Hog Roast Pendle . All Rights Reserved.